With an NVIDIA GeForce GTX 1070 graphics card that features 8 GB of GDDR5 dedicated RAM, you will be able to run pretty much any triple-A title on the ultra graphics settings without experiencing any significant FPS drops. The 10-series graphics architecture of this card will also provide you with the opportunity to enjoy VR. The housing of the laptop is easily soiled. 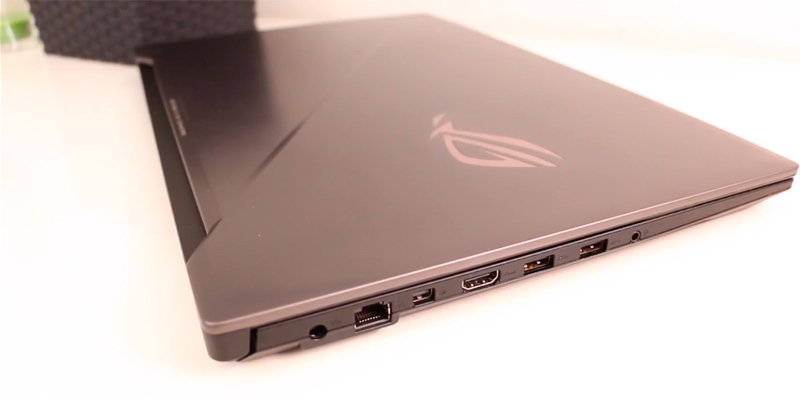 ASUS ROG Strix GL703GS-E5011T is one of the very few gaming laptops on the market that could beat decent gaming PCs and even rival high-end desktop computers. With its powerful hardware and superior display, you will be able to experience the most graphically demanding titles like never before. 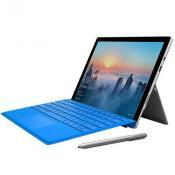 The device features an Intel Core i7 central processing unit that is going to prove invaluable in terms of a variety of different applications in addition to gaming. The keyboard features an anti-ghosting technology that could be helpful in an array of gaming scenarios. 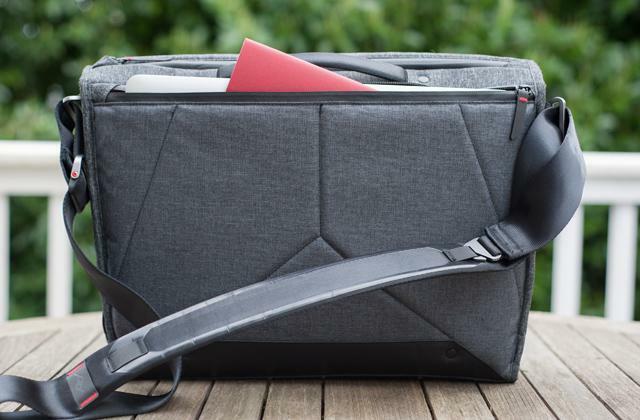 With almost 4 kilograms of weight, this model isn't the best option in terms of mobility. 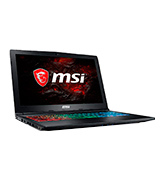 With a 17.3" that features an anti-glaring technology and some powerful hardware packed inside it, this model is a great choice for any gamer looking for a laptop that will satisfy all of his gaming needs. A 120Hz panel will give you a solid edge over your opponents in multiplayer games or simply allow you to enjoy a smoother gameplayer in your favourite single-player titles. With a mechanical keyboard from SteelSeries, you will be able to concentrate on your game instead of worrying about your keyboard properly registering every command. The fans start producing quite a lot of noise when you max the load. Gaming is a multifaceted activity and it isn't just the graphics card that determines the quality and the limits of this activity. 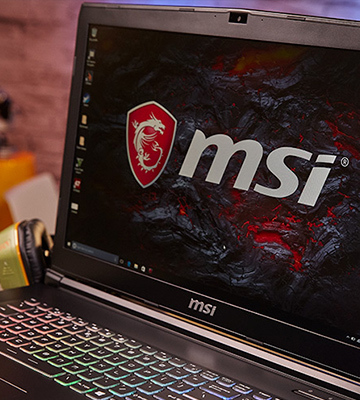 Which is precisely why MSI Leopard Pro is one of the better gaming laptops out there. It is a full package type of deal that will allow you to explore every part of the gaming world. The 8th generation Intel Core i7-8750H CPU can deliver up to 4.1 GHz with turbo boost, meaning you won't have to worry about your CPU bottlenecking the graphics card. It also means that you will be able to work on a bunch of CPU-intensive projects. A couple of front-firing speakers Waves MaxxAudio Pro provide great audio. 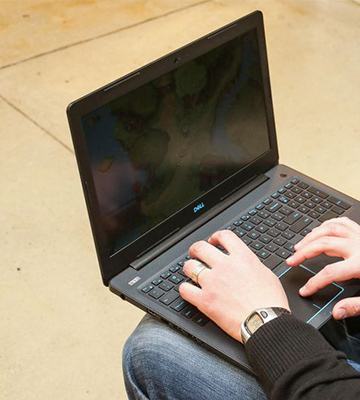 Dell G3 is a gaming laptop that offers so much more than just solid gaming performance. From decoding or transcoding video files to streaming, this versatile machine can do it all. 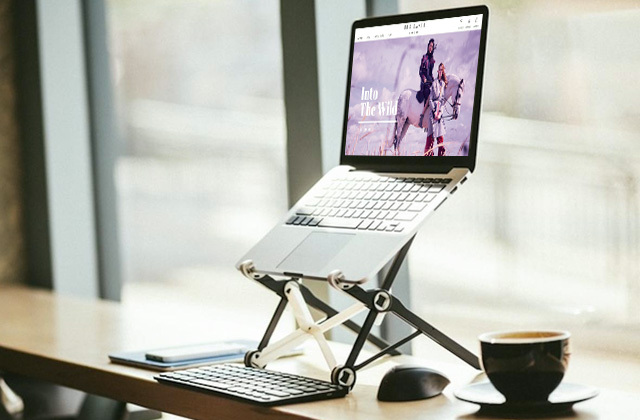 It isn't the most portable option but a great substitution for your average desktop PC. The 128 GB SSD will allow you to install quite a number of your favourite games on it and experience the fastest possible load time. The capable battery, its lightweight nature, and a compact frame will allow you to bring this laptop with you and enjoy hours of cordless gaming without inconveniencing yourself or anyone around you. The hinge mount is a bit stiff. Acer Nitro 5 is one of the more affordable gaming laptops on the market. For a very reasonable price, you will receive a relatively powerful rig that is capable of running some of the more demanding titles without much of a hitch. Even though advertisers call them gaming laptops, very few of these rigs can actually replicate the gaming experience that you would get out of a decent PC. Fortunately, that isn't always the case and ASUS ROG Strix GL703GS-E5011T serves as a pretty good example of that. What we have here isn't just your run-of-the-mill laptop that can be used for an occasional League of Legends session or to raid in World of Warcraft on the lowest graphics settings. No, this is a proper gaming machine, and while just about every piece of its hardware proves that, there are two components that we would like to highlight first. When it comes to gaming in general, it is mostly the GPU that determines the limits of your gaming ventures. And with an NVIDIA GeForce GTX 1070 that features 8 GB of GDDR5 dedicated RAM, those limits are stretched as far as possible. With this graphics card, you will be able to run pretty much any triple-A title on the ultra graphics settings without experiencing any significant FPS drops. It doesn't matter whether we're talking about the latest iteration of Battlefield, Call of Duty, Crysis, Tomb Raider, or the tried-and-tested Witcher 3 and Unreal Tournament 4. With this GPU at your disposal, you will be able to get well above 60 fps at 1080p in any graphically demanding game. And, as some of you are probably aware, the 10-series graphics architecture of this card will provide you with the opportunity to enjoy a VR experience. Of course, single-player games are all well and good, and there's nothing quite like them if you're interested in an engaging story that is told through the lens of the most impressive visuals. But some would argue that, in the current year, it is cybersports titles that are all the rage. 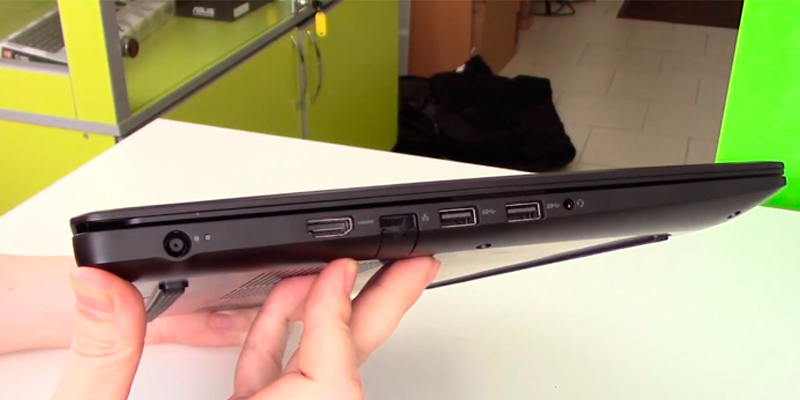 And that leads us to the second most impressive element of this gaming notebook - its display. To be a bit more precise, its full HD 1080" panel that features a 144Hz refresh rate. 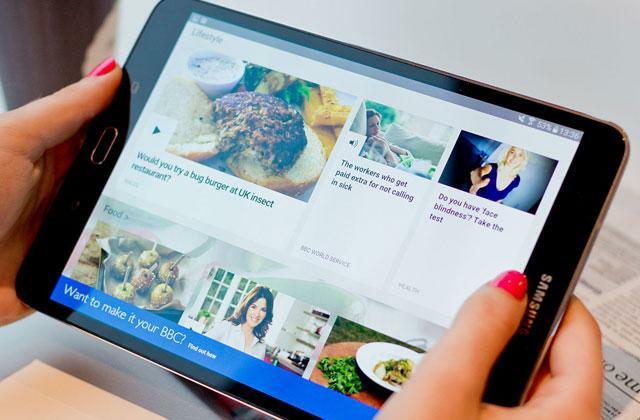 With this kind of display, you will be able to experience a much smoother playback. With more than double frames per second at your immediate disposal (compared to your average 60Hz monitor), you will have the sort of competitive advantage that will allow you to outwit and outmanoeuvre your opponents in Dota 2, LoL, SC2, and just about any other competitive title. And the kind of upper hand you will get in first-person shooters could only be described as unfair. 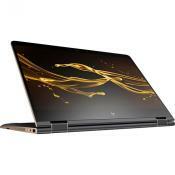 Now, we have given so much attention to the display and the GPU because they are by far the most important components of this gaming laptop, with the former responsible for smoother playback and the latter supporting that smooth playback and making it possible. 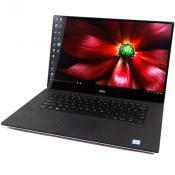 The GPU is part of the reason this is one of the most powerful laptops on the market. Of course, another part is the 8th generation Intel Core i7 8750H CPU. Add to it 16 GB of DDR5 RAM and you will be able to run a whole heap of applications at the same time. The processing unit will also allow you to stream your gameplay without a significant frame rate drop. All things considered, the ASUS ROG Strix GL703GS-E5011T is one of the very few gaming laptops on the market that could beat decent gaming PCs and even rival high-end desktop computers. With its powerful hardware and superior display, you will be able to experience the most graphically demanding titles like never before. Video gaming is by far the most rapidly growing industry in the world of entertainment. As of 2015, computer games, console exclusives, and mobile gaming applications generated sales of over 74 billions of American dollars annually worldwide and were the third-largest division in the world entertainment market, third only to broadcast and cable TV. To the ever decreasing number of people that never tried video games or just didn't see the appeal, it may seem odd given that the video game industry is fairly young and doesn't seem to offer the same amount of quality material compared to other mediums of entertainment. However, to the fans of the industry and avid gamers themselves, this kind of paradigm isn't surprising at all since video games provide one thing that isn't and couldn't be presented in other mediums of storytelling. And that thing is participation. See, any decent story presented in the form of a book, a movie, or a television series is capable of engaging its audience into the world that the author(s) created. But what none of them could possibly offer is for their fans to take part in that story themselves and influence some or every decision that the main cast of characters is going to make. The only medium of storytelling that allows its target audience to participate in the story themselves is the one that is presented in the world of video games. So the next time you get angry at the main character in your favourite television series for making a wrong decision yet again, how about you grab the newest gaming laptop from HP and write your own story in the vast and beautiful world of video gaming? 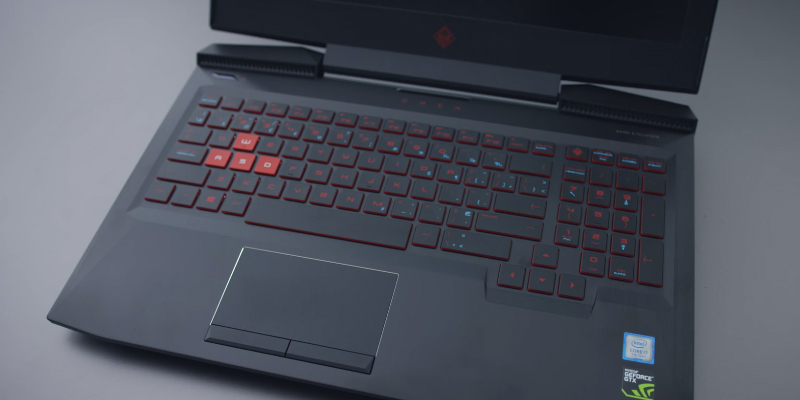 The HP Omen 17-an014na is the kind of device that packs everything you would want from your gaming laptop. A solid 17.3-inch display supporting full HD makes up for a great way to experience any type of multimedia including gaming. GeForce GTX 1050 GPU with 2 gigabytes of graphics card ram should prove sufficient enough to enjoy the majority of new games out there with a great frame rate and even run some of the latest AAA titles at a decent fps. Intel Core i7-7700HQ central processing unit with 2.8 GHz of processor speed is there in order to ensure that your CPU doesn't just guarantee not to stand in the way of your graphics processing unit but provide enough processing power in order to handle any amount of tasks you throw its way. Eight gigabytes of DDR4 RAM is also there in order to assist the aforementioned CPU in that regard. Although you probably wouldn't necessarily describe this model as a compact and less-than-sizable solution with 42.3 x 30.4 x 3.3 centimetres in overall dimensions and almost 4 kilograms of weight, we wouldn't suggest criticising the device's overall design. 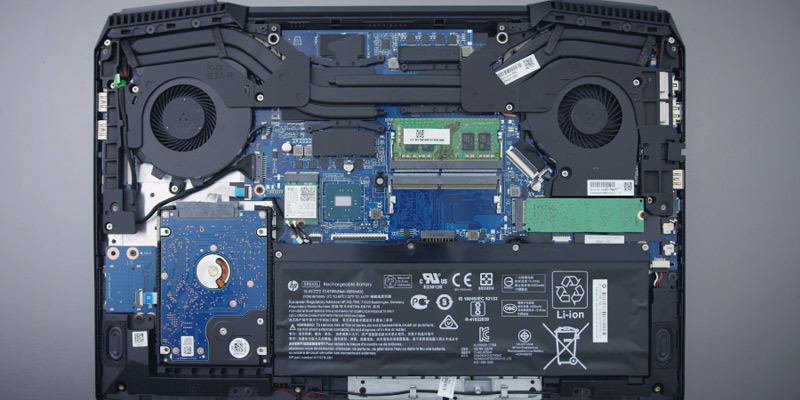 With convenient single panel access to the HDD, SSD, and RAM, the manufacturer's of this model can pat themselves on the back for developing a product that makes an often tiresome job of installing new upgrades onto your laptop as accessible and straightforward as ever. 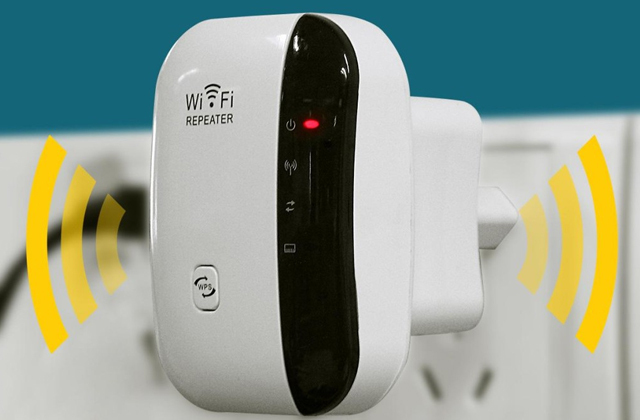 The device also offers an abundance of ports with 3 USB ones to make sure you have more than enough space for all of your external devices. If you're still not convinced whether you should buy the HP Omen 17-an014na, this gaming laptop also boasts a Dragon Red backlit keyboard with highlighted WASD featuring an anti-ghosting technology that ensures every keystroke doesn't go unnoticed. 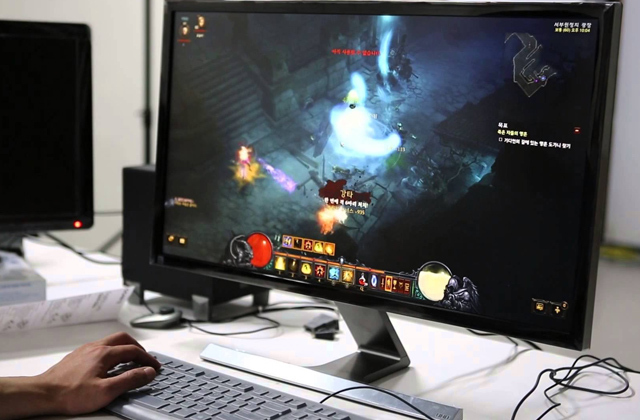 Some people like to think of gaming as one of the more straightforward activities, with the performance part that mostly stands on the shoulders of the computer's GPU. And while that isn't necessarily wrong since the graphics processing unit is by far the most important component when it comes to gaming, there are a lot of things other than the frame rate that determine the quality of your gaming experience and what that experience entails in general. With that in mind, we would like to introduce MSI GP62MVR 7RFX-880 Leopard Pro. 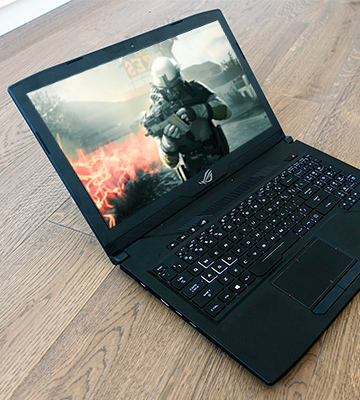 This gaming laptop doesn't necessarily come equipped with the most powerful GPU on the market. But as an overall package, this is arguably the best rig you could get for this kind of money. Now, since we have already touched upon the subject of GPU, it makes sense to cover this part first. What we're dealing with is an NVIDIA GeForce® GTX 1060 that has 3GB of GDDR5 dedicated RAM on board. And do not get us wrong, this is a perfectly capable graphics card that will provide you with a solid number of frames per second even in some of the more graphically demanding video games. Of course, given that the card features only 3 gigabytes of dedicated RAM, you wouldn't be able to experience 4k gaming without a significant frame loss. 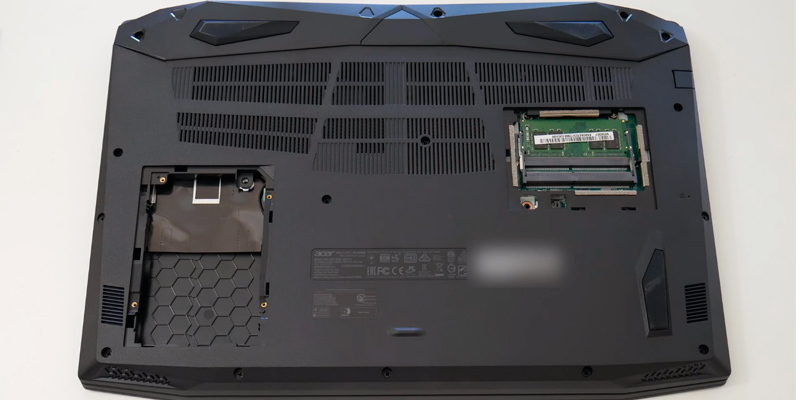 But given the kind of panel this laptop comes equipped with, we wouldn't really hold it against the GPU in particular and the gaming notebook in general. 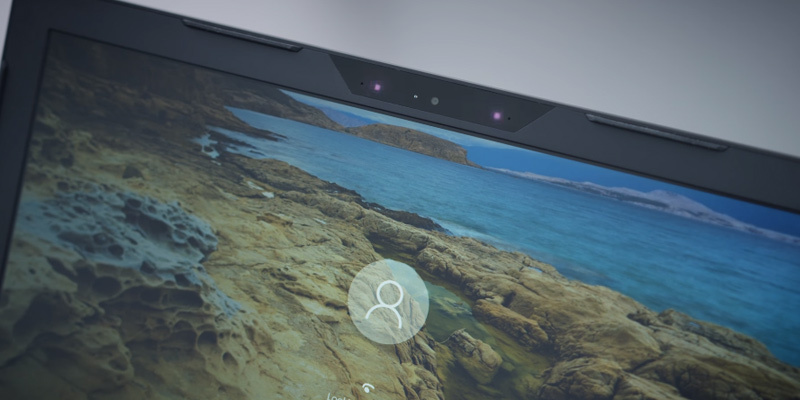 Speaking of the panel, you will be working with a 15.6" IPS full HD display. And while that may not sound particularly impressive, the same cannot be said about its refresh rate. With 120Hz of the latter on board, this display will give you a solid edge over your opponents in multiplayer games or simply allow you to enjoy a smoother gameplayer in your favourite single-player titles. And in that "multiplayer games" category, we naturally include cybersports. The refresh rate of the panel itself will allow you to easily outplay your Counter-Strike and Overwatch opponents since you will be working with twice the number of frames of your competitors. But if you're more of a MOBA or RTS guy, a good display isn't going to cut it, so the folk at MSI have also equipped this gaming laptop with a mechanical keyboard from SteelSeries. Using the latter, you will be able to concentrate on your game instead of worrying about your keyboard properly registering every command. Other than that, we would also like to point out the Core i7-7700HQ processor. Even though the i7 series doesn't provide a considerable performance boost in terms of the gaming applications, a processor like that makes 4k decoding/transcoding a hell of a lot faster and easier. 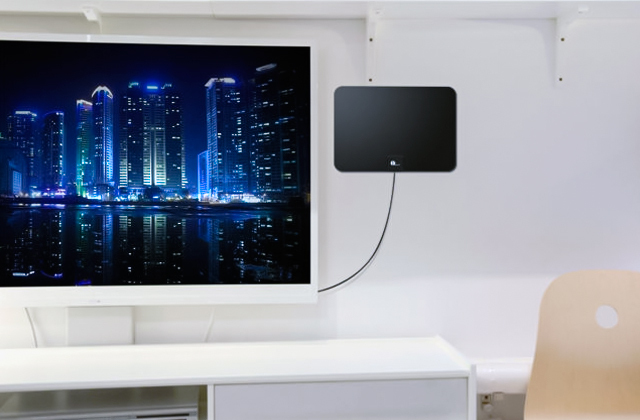 Plus, it will let you stream your gaming experience without hindering the performance. Finally, we wouldn't mind briefly mentioning the model's battery that will be able to offer you up to 8 hours of uptime, a very respectable number for a laptop like that. Again, gaming is a multifaceted activity and it isn't just the graphics card that determines the quality and the limits of this activity. Which is precisely why MSI Leopard Pro is one of the better gaming laptops out there. It is a full package type of deal that will allow you to explore every part of the gaming world. There are two types of people that would enjoy the Dell G3. First, there are the fans of the latest single-player titles. Now, there are a few things that make this laptop such an appealing choice for these people. As per usual, there's the graphics card that is the driving force behind the notebook's gaming performance. With this model, it is an NVIDIA GeForce GTX 1060 with 6GB of GDDR5 dedicated RAM. With a card like that, you will be able to play at the highest settings, enjoying the most crystal-clear details and a smooth, realistic gameplay. Single-player games are all about immersing yourself in the on-screen experience and this GPU will allow you to do just that. Of course, GPU is the processing unit that translates the code into an image that you see on your screen, so it wouldn't be worth much without a proper screen to back up that GPU. 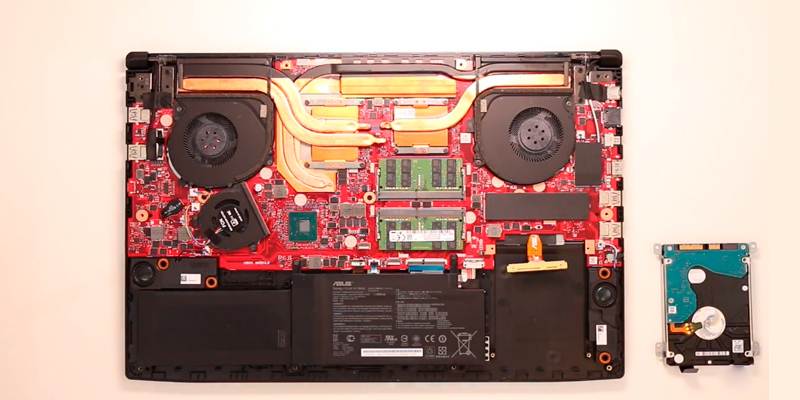 And a proper screen is exactly the way we would describe this gaming laptop's panel. Equipped with an IPS panel, this notebook will provide you with the opportunity to enjoy a sharp and stunningly clear image at every angle. 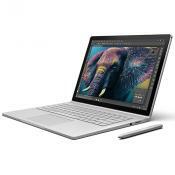 Plus, the anti-glare technology will allow you to position the laptop just about wherever you want without having to worry about the lighting and the way it would work with the laptop's display. We mentioned at the start of the review that there are two types of people that would find this gaming laptop appealing. 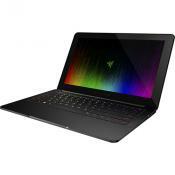 And aside from those individuals who truly enjoy single-player games, the model in question will prove to be suitable for those gamers who are looking to do much more with their laptop than just play video games. Naturally, some of these parts that make it so are quite useful for gaming purposes as well, but we would mostly like to focus on their non-gaming aspects. 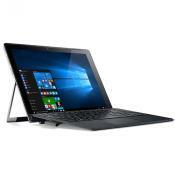 For example, there's the 8th generation Intel Core i7-8750H CPU that can deliver up to 4.1 GHz with turbo boost. And, sure, a processor like that means you won't have to worry about your CPU bottlenecking the graphics card. But it also means that you will be able to work on a bunch of CPU-intensive projects. The same can be said about this model's HDD and SSD. With one terabyte of HDD memory, you will be able to store quite a few games and still have enough space for other types of files. And with a 128 GB SSD, you'll have the opportunity to put a few of your favourite games and a couple of programs and enjoy a particularly fast load time. Any laptop is as much of a gaming station as it is a multimedia device so we particularly enjoyed the addition of Waves MaxxAudio Pro, a couple of front-firing speakers that offer superior sound compared to your average integrated speaker. The only thing about this laptop that we didn't enjoy is the battery that lasts about a couple of hours, making this model not as portable as one might've hoped for. 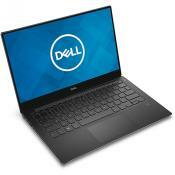 Other than that, the Dell G3 is a gaming laptop that offers so much more than just solid gaming performance. 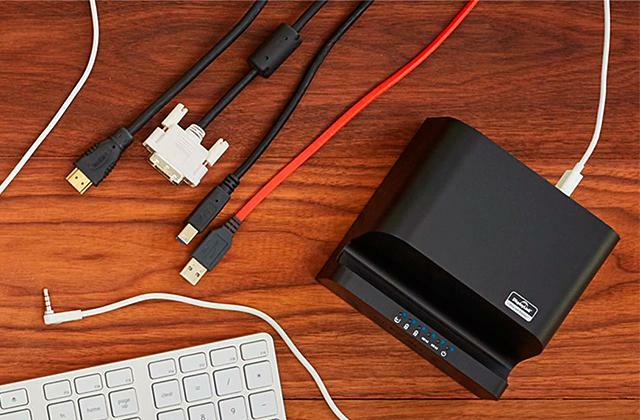 From decoding or transcoding video files to streaming, this versatile machine can do it all. 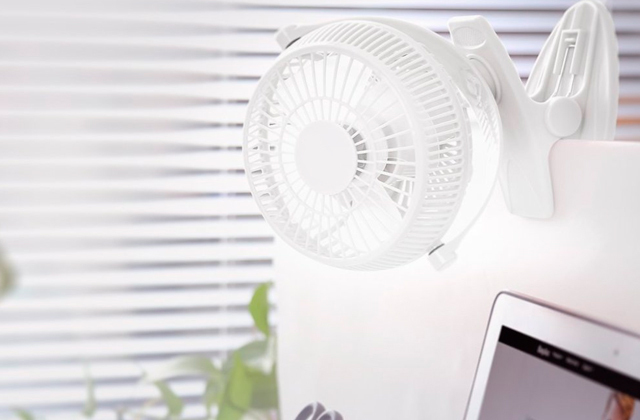 It isn't the most portable option but a great substitution for your average desktop PC. As much as some people may deny it, gaming is often an expensive hobby. You want to play any game you want but, in order to do that, you need a gaming rig that may end up costing you an arm and a leg. Still, you like games, so you go looking for a notebook that will allow you to play as many games as possible without asking for your kidney in return. So, without further ado, here's Acer Nitro 5, an entry-level gaming laptop that offers considerable performance for a very affordable price. For a smidge above 600 quid, you will receive an AMD rig and, as it usually the case, AMD hardware excels when it comes to budget gaming. What you will be working with is an AMD Radeon RX 550 graphics card that features 3 gigabytes of GDDR5 dedicated RAM and an AMD FX-Series FX-9830P Quad-core with a 3 GHz clock rate. Now, it may not sound like much, but both the GPU and the CPU in question are one of the better options on the market as far as the price-performance ratio goes. With these components, you should be able to get close to 60 fps on medium to high settings in a game like GTA V. And if you're willing to scale down on the graphics settings, you'll even be able to enjoy a decent frame rate in games like Watch Dogs 2, the latest iteration of Mass Effect, Far Cry Primal or even the Witcher 3. You'll also be able to enjoy some of the more demanding multiplayer games like Battlefield 1. And if you're a fan of Esports titles, this gaming laptop will provide you with well above 60 frames per second in games like Dota 2, CS:GO, LoL, and Overwatch. Graphics card and the processor are the most important parts of a computer in general and it is especially the case when it comes to gaming. But it's not like other components are there just for show. Eight gigabytes of DDR4 RAM will be able to make sure that you have enough memory to run the majority of triple-A titles or to multitask a number of applications. A Full HD IPS panel will provide you with the opportunity to experience your favourite virtual worlds through a brilliantly colourful lens that is as vivid as it is realistic. 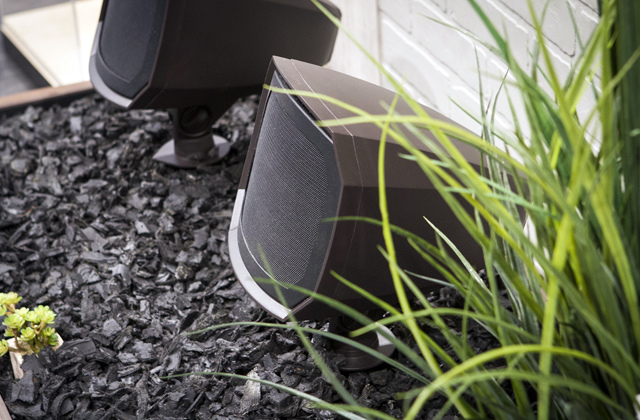 A couple of Dolby Audio Premium speakers will add considerable sound depth and liveliness to those stunning visuals. The 128 GB SSD will allow you to install quite a number of your favourite games on it and experience the fastest possible load time. Finally, we would like to mention that this laptop is capable of working for up to 6 hours on a fully charged battery, which is a very solid number given the price tag that it comes with. Of course, taking your laptop outside isn't always the most convenient option. 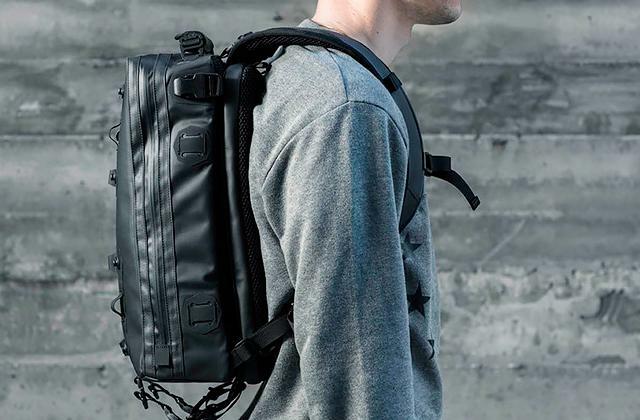 But considering the model's 2.7 kilograms of weight and 39 x 26.6 x 2.7 centimetres of overall dimensions, you'll be able to bring it with you and enjoy hours of cordless gaming without inconveniencing yourself or anyone around you. To rephrase our earlier point, the Acer Nitro 5 is one of the more affordable gaming laptops on the market. For a very reasonable price, you will receive a relatively powerful rig that is capable of running some of the more demanding titles without much of a hitch. Many people adore computer games and that's the reason they choose cumbersome gaming PCs instead of compact laptops. However, gaming laptops are performing enough to handle all PC games. 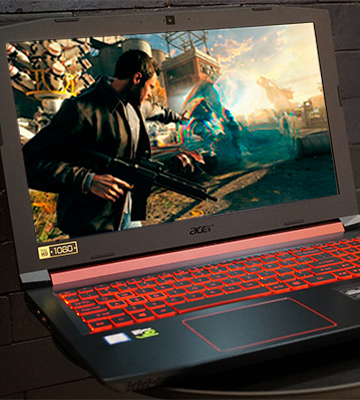 Basically, a gaming laptop is a usual notebook that boasts the cutting-edge and high-performing hardware which makes it fast enough to compete with PCs in running all kinds of video games. Plan to upgrade your computer speakers? Then, our review on the latest PC speakers available is for you. 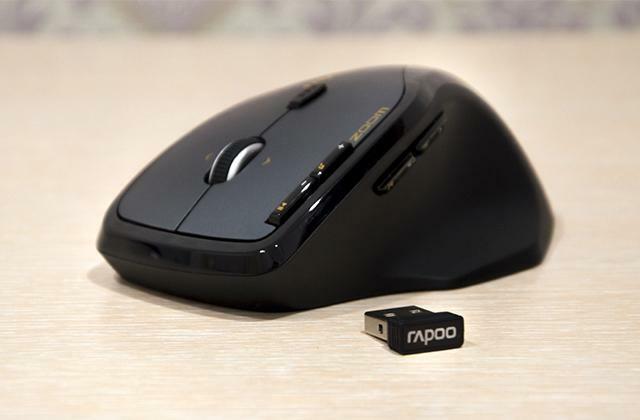 You may also want to take a look at the models of gaming mice we've reviewed lately and possibly, buy a new one for yourself. 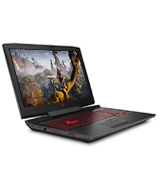 There are many gaming laptop reviews online, yet making the right choice is quite difficult since most comparisons are too detailed and long, so a common person isn't patient enough to read. That's why we have decided to compare the most advanced gaming laptops by the most important criteria. The first thing to take into account is the performance of the gaming laptop you're going to buy since it determines how long your laptop will remain good enough for modern games. There are several important issues influencing the performance and the CPU is certainly the most important one. The CPU, or central processing unit, is the brain of any computer and there are 2 major manufacturers: Intel and AMD. Intel is considered to be more performing than AMD and that's why most gaming laptops are equipped with one of the most up-to-date Intel CPUs - quad-core Core i5 or Core i7 models with the frequency of 2.4 GHz and more. Another crucial piece of hardware is the GPU or graphics processing unit which transforms a 2-digit code into a realistic image you see on the screen. There are 2 types of GPUs: integrated (they are built into CPUs) and discrete (the independent one which you can easily replace). Of course, most conventional laptops have just an integrated GPU but if your aim is playing video games - you must get a laptop with a discrete GPU. There are 2 main manufacturers of GPUs - NVIDIA and ATI (which is associated with AMD). NVIDIA graphics cards are usually considered to be better for laptops and that's why all of the devices we've picked in this review boast NVIDIA GPUs. 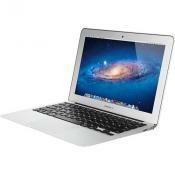 There's another important feature that impacts an overall performance of the laptop - RAM or random-access memory. It's responsible for short-term information retention and if you have a rather small RAM, your laptop won't be able to run all the games smoothly enough. RAM types are different - there are DDR, DDR2, DDR3 and even DDR4, but the newer one you get, the higher frequencies it will be able to support and the faster the data traffic will be. You need to choose a gaming laptop with at least 8 GB of RAM, though the more the better and the best laptops for games have as many as 16 GB. Finally, check the capacity of the storage device and the technology used in it. For example, most simple laptops have hard disk drives (HDDs) which are quite affordable and have a huge capacity but they are relatively slow and somewhat outdated after solid-state drives (SSDs) have been invented. Of course, SSDs are much faster but more expensive than HDDs. That's why most gaming laptops have an SSD and an HDD. SSDs are used as system drives (Windows is installed on them), while all of your files are stored on HDDs. Once you've decided on the previously mentioned features, consider the next one - the display, because the game is displayed on it. Therefore, you need to have a high-quality screen in order to enjoy the gaming experience. Game graphics have made a breathtaking progress within the last decade, so playing video games isn't only about killing some monsters, but also about admiring the graphics. 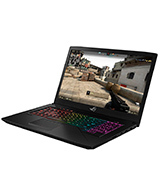 So, begin with the screen size - most gaming laptops have a usual diagonal of 15.6 inches but if you want to feel as comfortable as possible while playing games - choose a larger screen (17.3 inches, for example). Also, consider the resolution the screen provides. You can customise the settings before starting playing a video game and it's an advantage if your laptop supports one of the highest resolutions available. Most gaming laptops allow you to choose the resolution of 1920 x 1080 pixels (it's called Full HD). In the end, check what technology is used in a display. 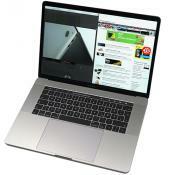 All modern laptops have flat LED screens, but they are based on totally different technologies. The cheapest displays are based on the TN technology which has fairly poor viewing angles but boasts the excellent response time (1-5 ms). 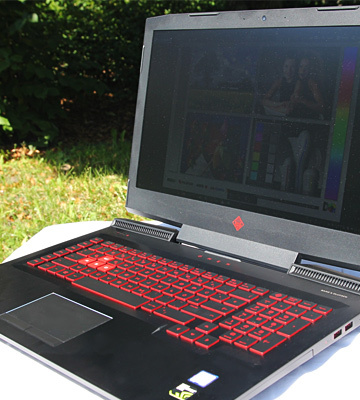 However, gaming laptops belong to the upper class of computers and usually have displays based on the IPS technology which provides much more vivid colours and better viewing angles, but they're a bit slower - 5-8 ms. 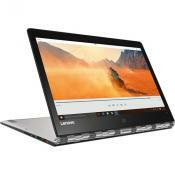 Finally, you can't imagine a cutting-edge device without a touchscreen and most gaming laptops have it. It helps us to use Windows, browse the websites, but it isn't a must-have feature for games. The next step to make is to consider the battery. Any laptop is purchased for the sake of autonomous work without a necessity of plugging it into an outlet. And so the battery is important and you need to choose a laptop that provides a good battery life. Keep in mind that gaming laptops are very powerful and it means they consume a lot of power, so no laptop for games is strong enough to ensure 10 hours of autonomous work. And yet, choose the one that provides no less than 5 hours of battery life - otherwise, you will need to have a power cord around. Games aren't only about image and display, but also about sound, particularly if you like playing online. Present-day games allow you to even speak with other gamers and that's why the sound matters. And if a conventional laptop has just 2 simple speakers, gaming laptops are usually more 'charged' in terms of sound and boast high-end speakers and even a subwoofer. Surely, you can use the headset while playing video games. Finally, we've come to the last criteria to take into account - design and ergonomics. First of all, you need to choose the laptop by its appearance and material it's made of. Most laptops are made of plastic but the top-rated models have a metal casing (usually aluminium) which is better in terms of durability and cooling (keep in mind that a laptop has to have an efficient cooling system). 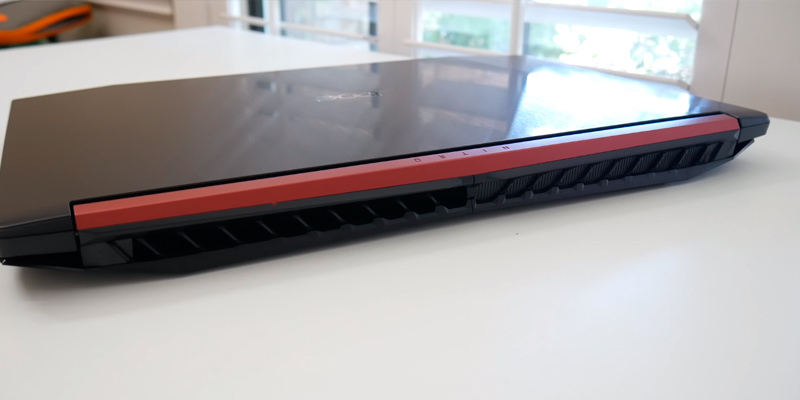 The best and most expensive laptops for games boast a cutting-edge carbon casing which makes them really lightweight. However, if you choose a plastic model - it's good enough since fewer fingerprints and scratches are left on plastic. And, of course, you need to check the keyboard - a crucial feature for any experienced gamer. A keyboard has to be convenient and that's why a lot of attention is paid to a keyboard layout. However, only you can decide if a keyboard is comfortable. In the end, check the backlighting of the keyboard - most gamers like playing in the evening and at night, so a backlighting is important. 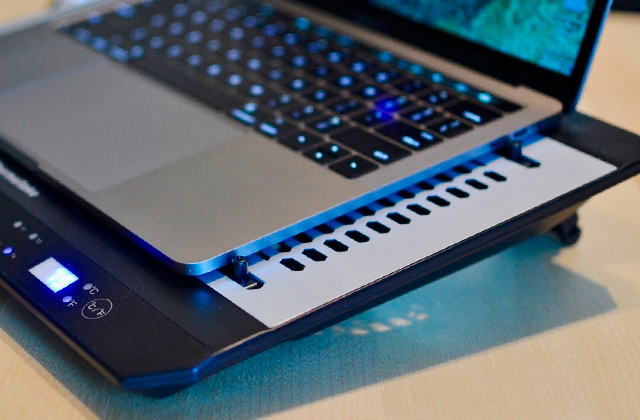 The best gaming laptops allow you to even change the colour of backlighting. 1. 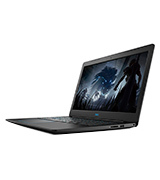 Sherri L. Smith Gaming Laptop Buying Guide: Find the Right Rig, Laptop. March 1, 2016. 2. Joel Santo Domingo How to Buy a Desktop or Laptop for Gaming, PCMag. October 23, 2014. 3. 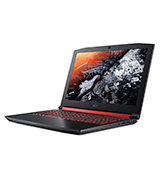 Josh Covington How to Choose the Best Gaming Laptop, Velocity Micro. February 11, 2015. 4. 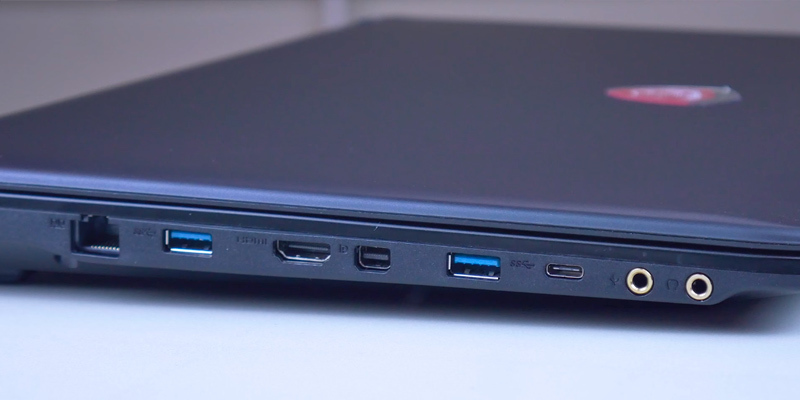 Gordon Mah Ung How to buy the perfect PC gaming laptop, PCWorld. November 20, 2014. 5. 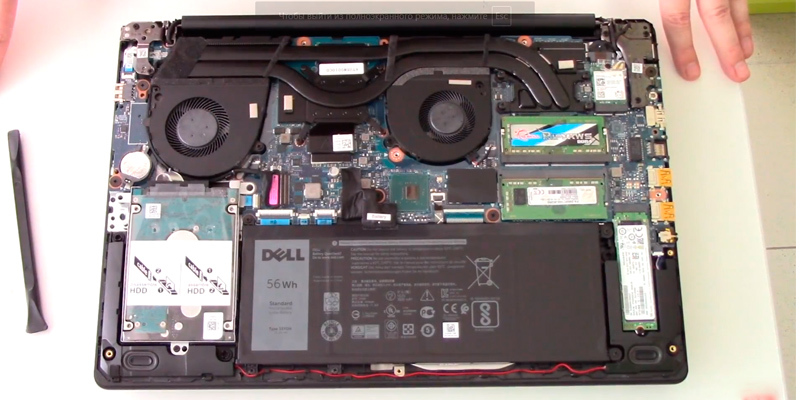 TechyInAZ What to look for when Buying a Gaming Laptop, Tom's Guide. July 15, 2014. 6. GAMING LAPTOP - A BUYERS GUIDE, MEDION. 7. What is a Gaming Laptop? wiseGEEK. 8. Simon Hill Gaming Laptop Buying Guide: What Specs Do You Need? DealNews. January 7, 2016. 9. Robert Workman FIVE TIPS FOR BUYING A GAMING LAPTOP, Geek & Sundry. November 30, 2015.